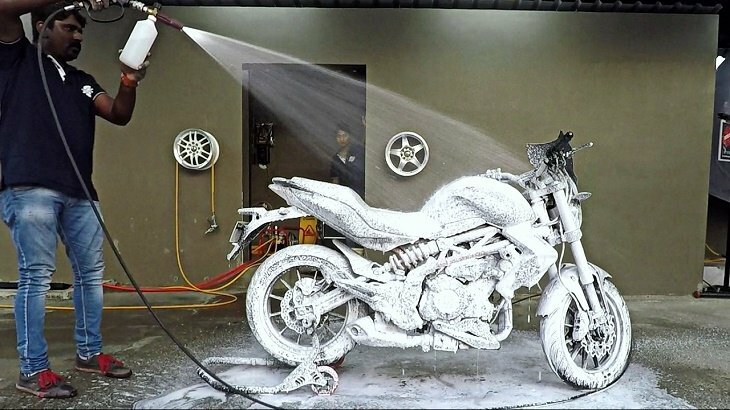 How much to paint a motorcycle? This is a question that most professional cycle painters – as well as online platforms – receive every once in a while. As a bike owner, you probably already know that painting your ride is not only important, it is also necessary. For starters, a fresh coat of paint will refurbish your bike. If the vehicle’s structure looks a bit aged, then giving it a paint job will make it look newer. In the same way, painting a motorcycle will remove such damages from the body as dents and dings, especially if you get a professional to do it. Most of all, a motorcycle paint job is a requirement for anyone who loves a customized bike. However, if you are planning to give your bike a new lease on life, you need to ensure that you know how much to paint a motorcycle actually costs. That said, painting projects come with different costs. The amount you will end up paying will depend on how you would like the project to proceed. If you are not too picky or careful, then you can handle the project on your own for little money. For a professional custom paint job, the prices range anywhere from $900 to $2,200. Therefore, you need to ensure that you can afford this costing if you are looking for your bike to be customized through painting. In the same way, you might also want to have some extra money because painting the saddle bags, the oil tanks, and the side covers won’t typically be part of the overall deal. Obviously, it will be cheaper if the paint job is done in a factory. However, you might have some extra money meaning that you’ll be able to spend a bit more for a restoration finish for your bike. For your bike to get a regular coat of paint, it will cost you anywhere from $300 to $1,500. This price is, of course, depending on the volume of the project – including how much work the professional will put into your bike before they actually start painting it. Remember, painting parts of the cycle is just one fragment of the entire process. The main task your professional motorcycle contractor will handle will involve sanding down the bike until all the old paint comes off and the body is ready for a fresh coat. Since sanding cannot be mechanized, a lot of manual work is involved. It also takes a bit of time. Therefore, the greater the amount of prep work the professional has to put in, the more expensive the project will become in the long run. You can, however, cut down on the costs by doing the prep work on your own. This way, you will save a lot of money and time in the long run. Similarly, you can take off the tank and the fairings from your motorcycle and only get them painted. These parts are the most vital to the looks of a bike. Other parts that you should get painted include the side panels, the front and rear fenders, and the tank. Such a project will cost you less than a full-on bike paint job. Unless you are very picky about your bike, a regular paint job was done at home can be as affordable as $100. The amount will, of course, depend on whether you know the painter personally or if you can do it on your own. The only downside to this is that you have to handle the dirty aspects of the project. This includes sanding down the bike, getting the paint prepared, and applying the coat to your motorcycle. If your budget is a bit tight, teach yourself how to handle small projects like painting a motorcycle. This way, you’ll never have to inquire how much to paint a motorcycle costs on the regular market. With the right knowledge, skills, and tools, you can handle the project on your own easily enough. In conclusion, being able to tell how much to paint a motorcycle will depend how you choose and the budget you spend to implement it. The above information will help you decide easier about where to get your bike painted as well as how to handle the work by yourself when your finances are not stable. Use the advice in this guide to inform yourself and keep updating the knowledge with time.